The Red House on Cape May Ave. This Saturday, July 11, is the celebration of the centennial anniversary of a house in OB. It’s not your ordinary 100-year-old house at the beach – for this is OB’s famous (some say ‘infamous’) “Red House”. What is the “Red House” you ask? The Red House is an old craftsman-type single-story house on Cape May Avenue that was the home to a bevy of radicals during the 1970s. Painted red, the house was lived in by some of OB’s most notorious leftists and anti-Vietnam war activists. Beginning in 1972, the large, roomy house – a half block from the sand – at 5113 Cape May, became a type of leftwing movement and social center. 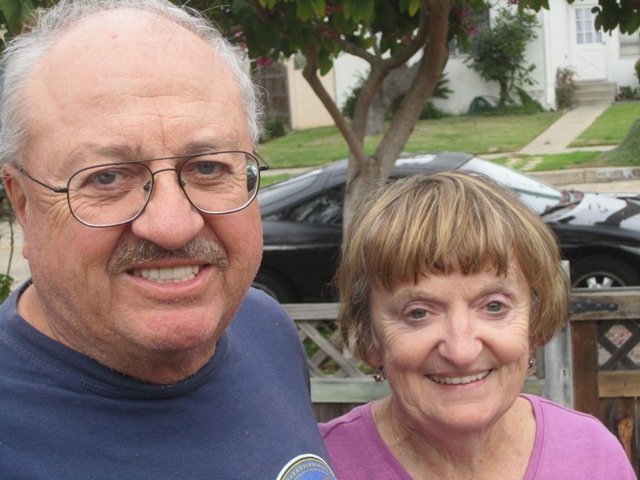 Some of the leaders of San Diego’s anti-war movement lived there during that heady decade, as well as some grassroots activists who were instrumental in helping to cause a shift in local community politics. At the time, Red House had a large yard on its east – which gave it plenty of space for outdoor meetings. The house saw plenty of meetings, discussions, and parties. And in the back of the spacious yard, a former surfboard shack become the workshop of the community newspaper, the OB Rag. Back in those days, those old-school days, leftists were called “reds” (remember the movie “Reds” by Warren Beatty?). In an ironic twist of history, Republicans and conservatives are now called “red”- as in ‘red state’. So, this ol’ red house has some real, genuine OB history. It’s significant, for not that many OB houses these days make it to their 100th birthday. It’s a treasure just in and of itself. But what is also of great significance is that Red House’s current owners, Jane and Tom Gawronski, appreciate all this old history, have a plaque on its exterior highlighting that history, and are into celebrating the centennial of their house with OB. 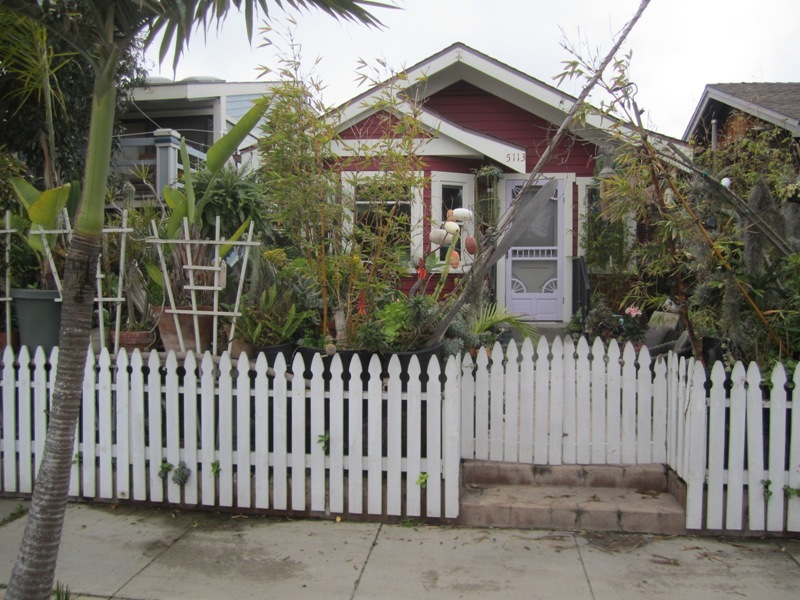 The Gawronskis, both long-time volunteers on the OB Planning Board and both retired from their professional careers, buy up old dilapidated OB shacks and rehab them into stunning cottages. 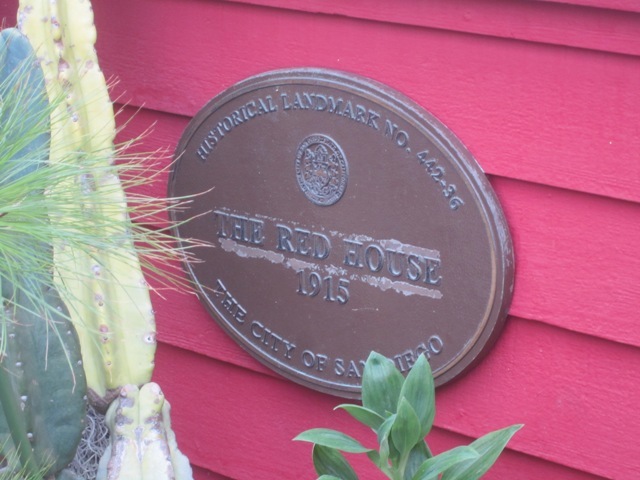 The celebration of Red House’s one-hundred years is Saturday, July 11, from 1 to 3pm. Tours of the house are available. I will be the MC for a program that begins at 2. Some of the residents from the 1970s will be on hand for autographs and brief remarks.